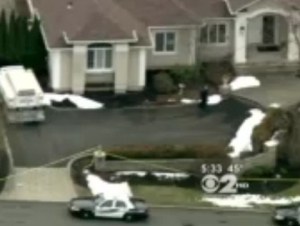 (CBS/AP) NEW CITY, N.Y. - Police say a 7-year-old suburban New York girl who was stabbed several times by her suicidal mother has survived surgery and is in stable condition. A Clarkstown police spokeswoman says investigators hope to talk to her about the tragedy but don't know when that will be. Police aren't saying whether a motive has been detected. They say no note was found. Police say the victims were discovered by Ava's father, Kristappa Sangavaram. He is a doctor from New Jersey. The school had alerted him that Ava was absent.